Who does not wait for years to watch a Rajkumar Hirani film? I am one of his devoted followers and see each of his movies multiple times whenever I find them being telecast on the television. The only movie I was least excited to watch has been his latest release “Sanju” because I was sure of its biased take on Sanjay Dutt’s life considering that they have been on good terms in their personal and professional lives. In its first two weeks of release itself, the movie has earned 300 crores in Indian market itself. Why the hell will anyone need a review now but still I will do to add my blog count. Haha! The movie talks descriptively about the life of Sanjay Dutt getting into details on two of the important aspects of his life- his drug addiction and his case of keeping arms at his residence during Mumbai bomb blasts. Rather than making the whole movie as a very dark stuff which any other director would have done, Hirani keeps it mostly on a lighter note irrespective of story having numerous events which had darker side of truths. Only Hirani could have moulded the story in this manner. The dialogues are entertaining right from the start and like every Hirani movie, there are some words or sentences you will take with yourself after watching the movie. E.g. ghapaghapp. Haha! 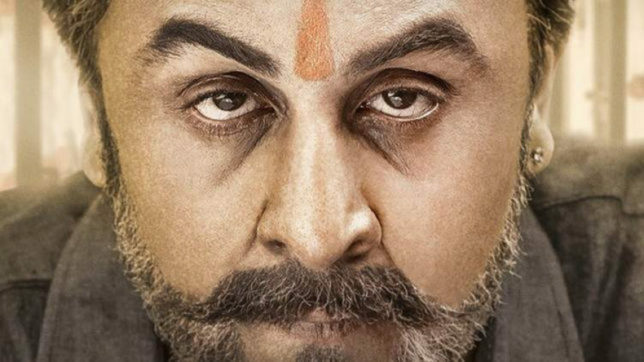 The movie manages to make you laugh out loud and also succeeds in making you drop tears in the scenes when Sanju speaks whatever he had written for his father or when he does not get chance to give awards to his father or when his friend comes to know about the innocence of Sanju etc. Still, I would say that irrespective of being one of the well-made movies in Hindi film industry, this is Hirani’s worst made movie till date. Talking about the performances, Ranbir Kapoor has proven once again why he could be termed as a Superstar finally. He not only looks like Dutt but has also personified himself and his body language completely like him. In all the age of Sanju right from his teenage to the old age, he looks like him and even talks like him. An Incredible effort from his end. Vicky Kaushal is another actor who has stood out as Sanju’s best friend in the movie. Dia Mirza is fine as Manyata Dutt. Jim Sarbh has also played his part of a villain nicely. Sonam Kapoor looks and acts adorably. Overall, all the performers have played their parts perfect because of which the movie turns out to be hilarious and worth watching. Sanju definitely has repeat value and that’s the reason why it is ending up beating all the records in the market. I also believe like many that the facts about Sanjay Dutt’s life has been distorted but I have focused my review basically on how the movie is rather than debating on Fact vs Fiction. I give this movie 4* out of 5.